Daydreamers: New!! Raindrops Keep Falling. Another exciting Blog Train from Wilma4Ever. Well raindrops are not something we have seen to much of for the last couple of months lol. 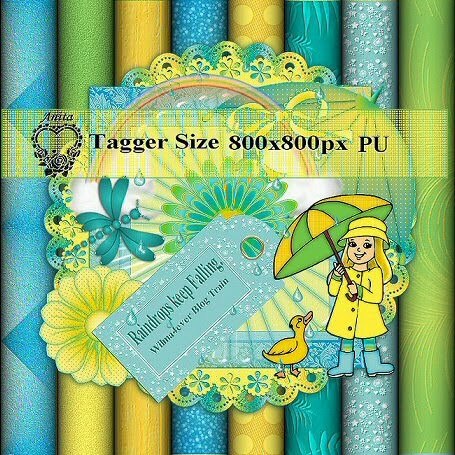 Have fun creating with my share and check out the lovely kits by all the other contributers. Very cute kit - thank you! New!! Pause for a Cause.